This unit is a great choice for those looking for a little more excitement. This unit offer climbing, sliding and a basketball hoop. In addition to a large bouncing area. 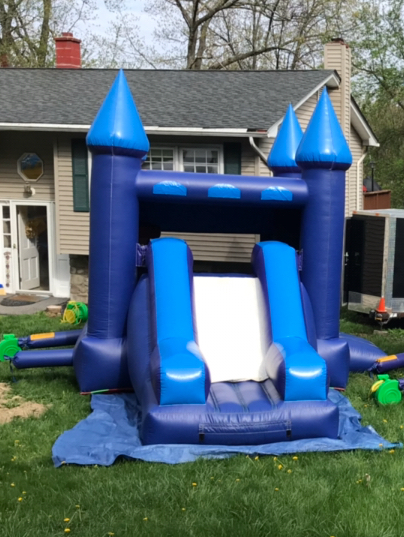 Between the jumping, sliding and climbing, your party-goers will be exhausted by the end of a day in this bouncy house. This particular bounce house requires a minimum of 18' x 26' clear area for setup. The height clearance for this unit is 17' high.